– Into the Gloss spilled secrets on makeup tips to help you look better in photos. While having multiple different foundation shades might not be accessible for everyone, the general makeup looks definitely seem photo-worthy. 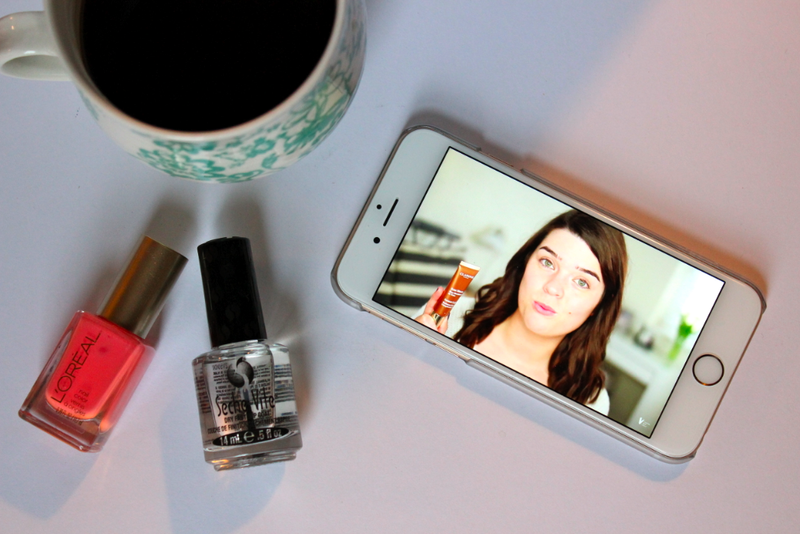 -Refinery29 got the details on how much some of our favorite YouTubers are really earning. WOW. Where do we sign up? – How to pull off Rihanna’s purple lips, from The Cut. Will you be giving this one a go? – We loved Lacey’s first hairstyle how-to for “Couchella,” and can’t wait to recreate it ourselves with the help of our own lovely stylists. – Caroline from A Cup of Jo tried out her fair share of foundations to find the winning pick. See what she chose here – we’re tempted to give it a go, as well. – It’s the sale of the season! Sephora’s VIB sale is back & offering 15% off to VIB members. Stock up while you can! – In the Chicago area? Next Sunday morning, we’re partnering with the Hyatt Regency & The Barre Code for a free morning of health & wellness. Enjoy everything from 25 minute express barre classes to dry styling. RSVP here. yes yes yessss! 15% off at sepohra is perfect timing 🙂 I’m about out of my makeup forever aqua brow stuff! I saw that article about how much youtube beauty gurus are making and I can’t believe it! 6 figures?! to show off awesome makeup?!!!!! sign me up. please!